Due to Hurricane Florence we are fortunate to have this community event rescheduled to May 4th, 2019 and held at the Museum of the Albemarle! Live Music, Food, Speakers, Exhibits and Youth Activities. This year’s the festival will be hosted at the Museum of the Albemarle in Elizabeth City (on the lawn, rain or shine). 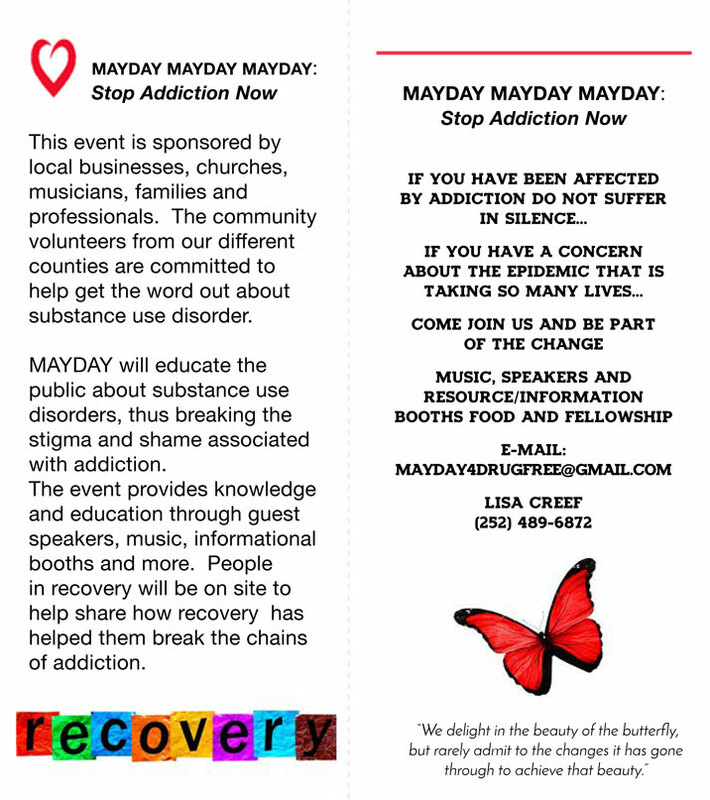 MayDay is your hometown friends that care about keeping you healthy & strong, because we ALL need you. Bring your friends, neighbors and family members for a day of counseling, research and comfort, lets find a way to get you the help you are looking for.